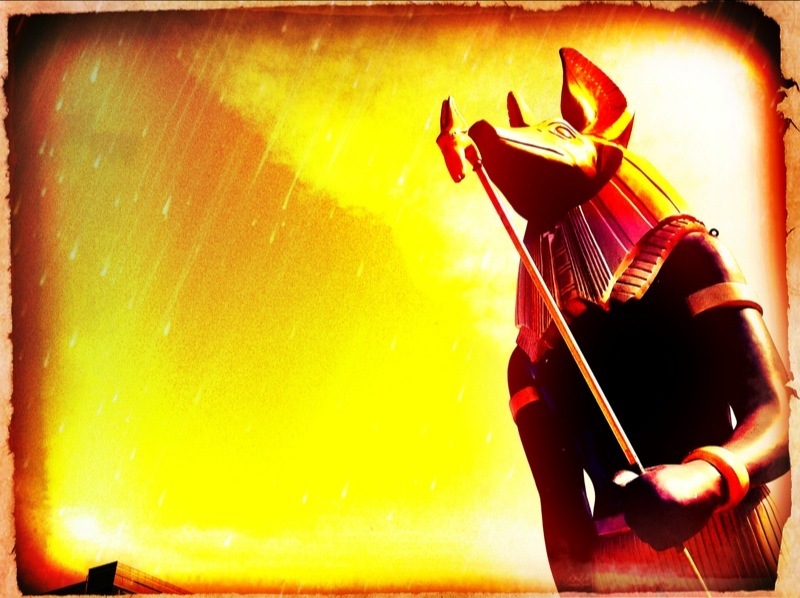 Smitten and Spun – Blog » Oh hai Anubis. Welcome to Seattle. There are some things that last an eternity, like Ammit consuming your soul and there are others that will go away with the blink of a heavily mascaraed eye. The latter was foretold by Anubis in preparation for King Tut’s final tour before being, well, locked back in another tomb…this time likely for about as long as it was in there the first go around. According to the Seattle Times, we’ll be able to see the Egyptian expo beginning May 24th. Until then, we just have to deal with this jackal weighing our hearts against feathers. Be sure to be kind to your fellow drivers in case you end up in front of this 26′ monstrosity. Newer: Tag! You’re It! – A game of chase at a snail’s pace.